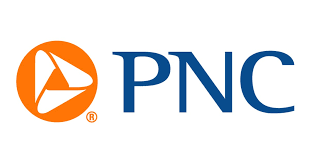 PNC Financial Services Group is the fifth largest bank in the United States with 50,000 employees, operating from 2500 offices in 19 states, and annual revenue of more than US$16 billion. The intranet was eight years old and dated in terms of overall functionality and usability. It had a very large and complex intranet which consisted of over 30 databases, some with over 100,000 documents. Conduct a thorough assessment and gap analysis of the current intranet, with strategies to improve navigation, design, content governance, etc. Gather and analyze business requirements from key stakeholders and executives. Strategize the means to reorganize the intranet as a central repository of timely and relevant information. Restructure the site’s information architecture in an effort to group content according to how PNC users look for information. Accommodate a wider range of online services and functionality immediately, allowing future scalability. Improve internal governance and management the intranet. Benchmark and analyze leading intranets in the financial industry for best practices and tactics. The development of a measurable, consensus-based strategic plan. A user-defined information architecture developed through card sorting, intranet usability best practices and usability testing. 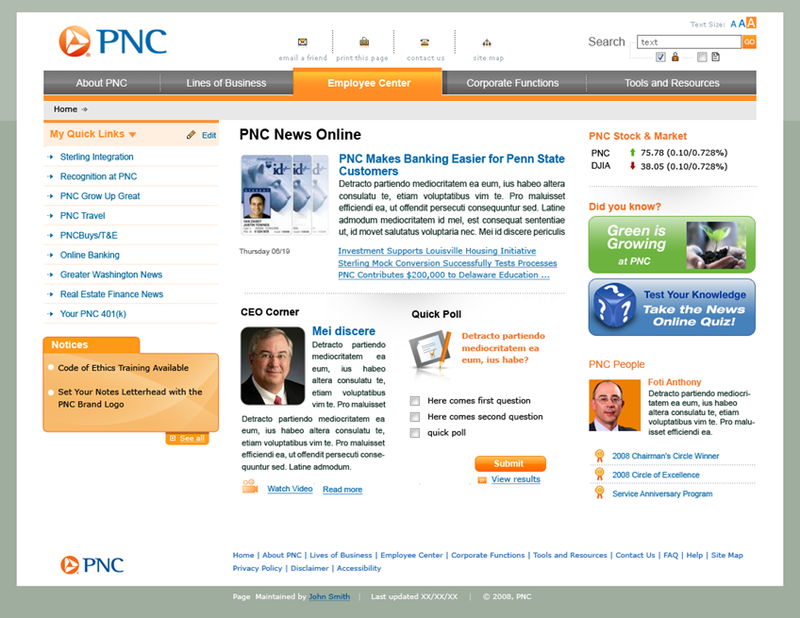 A brand new user experience with a modern, engaging interface that supported the PNC brand. A detailed governance model to ensure the intranet would be managed effectively. The client was very satisfied with the outcome, and so too were users. PNC rated the intranet project highly with a score of more than 90% and the client deliverables from Prescient at 95%.